Every issue of the Motorcycle Racer is guaranteed to keep you entertain and informed with the in depth news articles and other interesting features on motorcycle racing. Buy a single copy or subscription to Motorcycle Racer magazine. This is the most intriguing magazine that covers motor bike races and racers in an amazing style to keep you wanting more and more of it. High performing motorcycles, speedy races and lavish lifestyle of the top racers have always been the topic of curiosity among the motorbike racing enthusiasts. 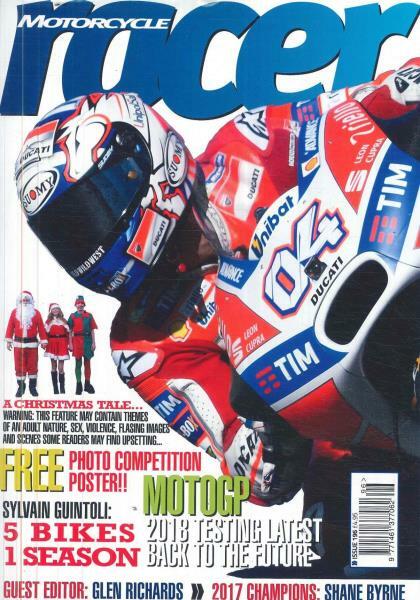 The Motorcycle Racer magazine brings you the best of them in every issue. You will love this magazine if you are obsessed with motor bike racing; want to buy a motor bike or if you like motor bikes. Without any doubt, this magazine is a sumptuous treat for the motorcycle race lovers with reviews and latest news; the magazine also features the best advices and trustworthy reviews of the latest motorcycle launches. In case you are planning to buy a motorcycle, this magazine can be your best guide to select the most suitable one out of the listed motorbikes that are all geared up to perform. The detailed feature description, technical illustrations and price evaluation makes the choice even simpler by allowing you to select according to your requirement and budget.